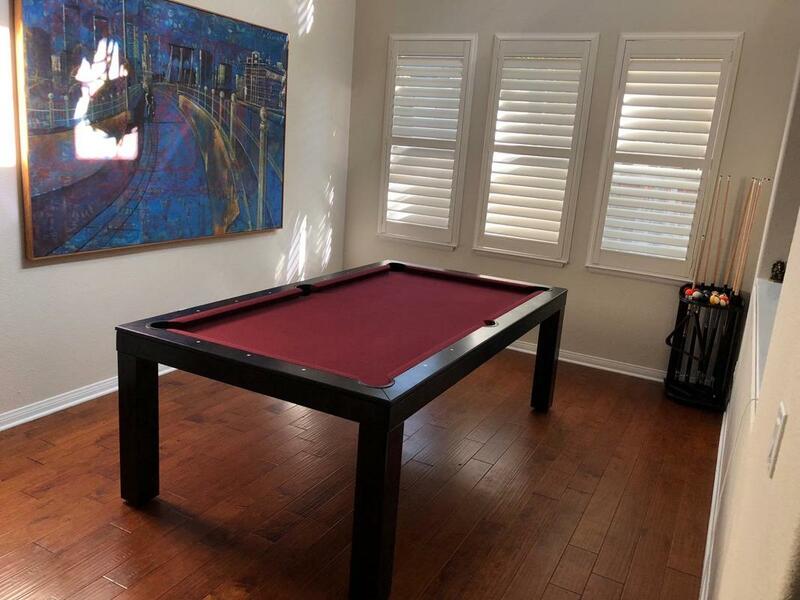 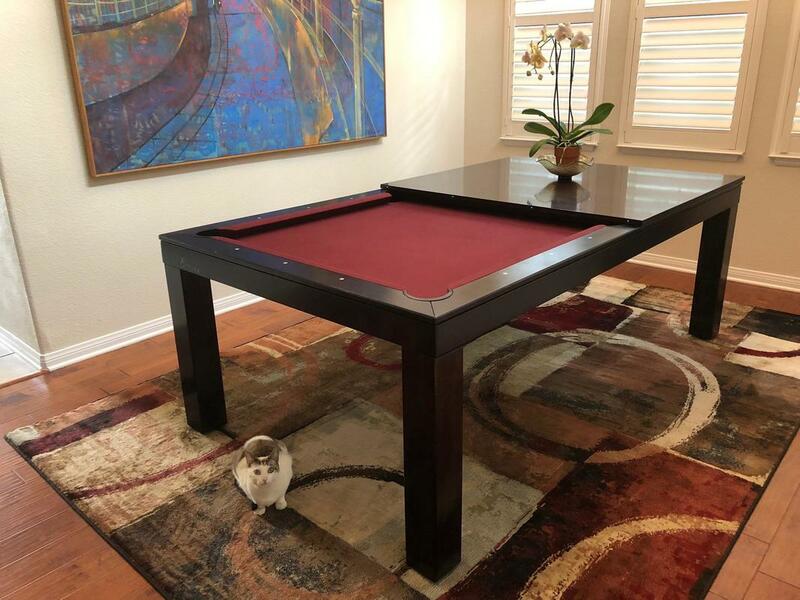 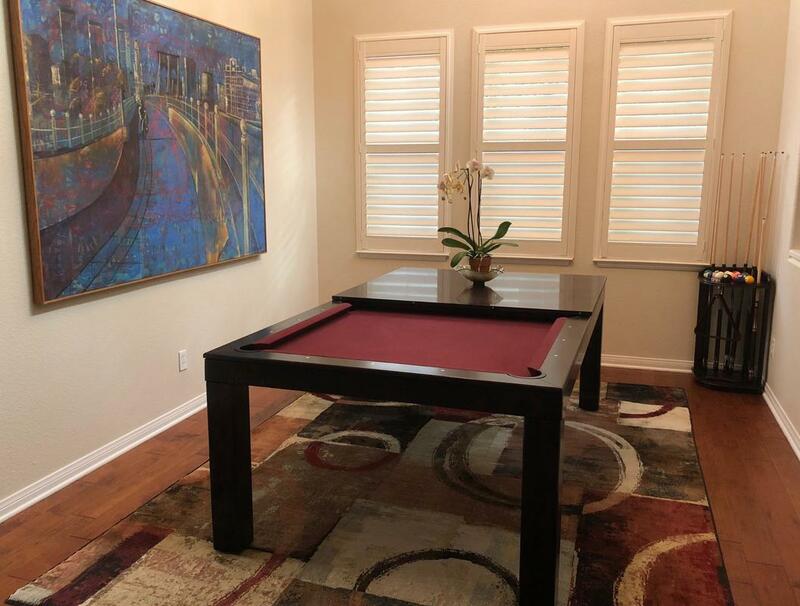 ​Dining pool tables are great fun for entertaining and for family bonding time. 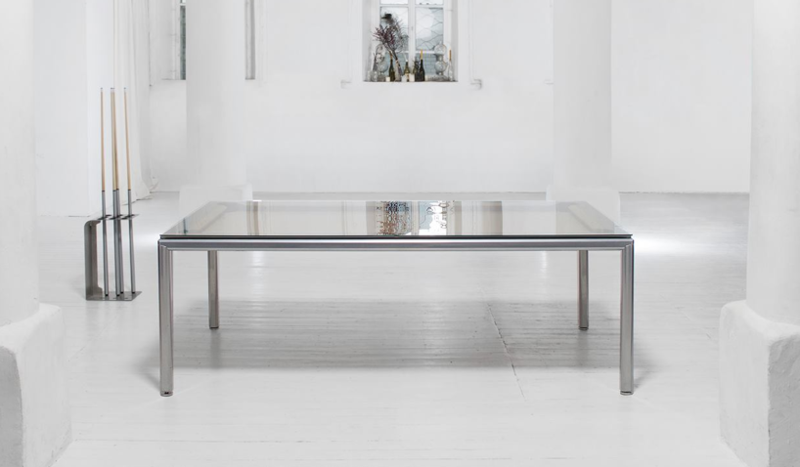 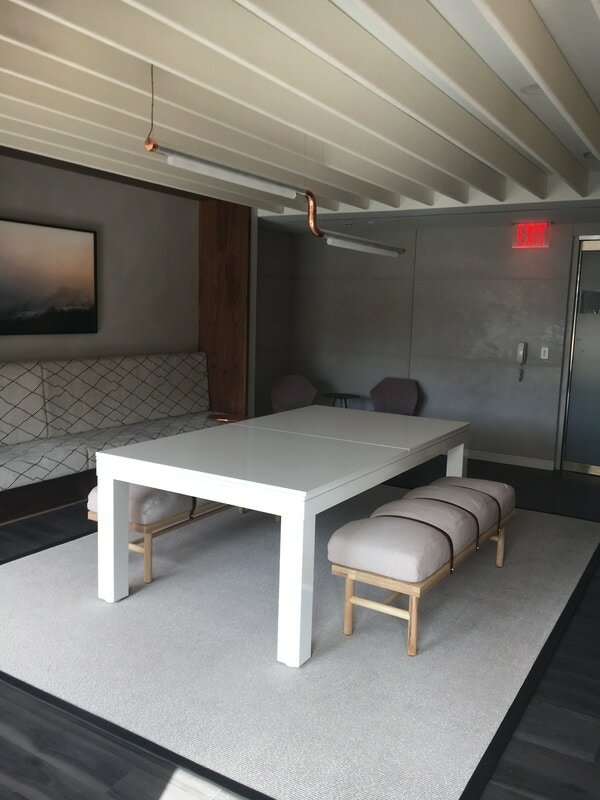 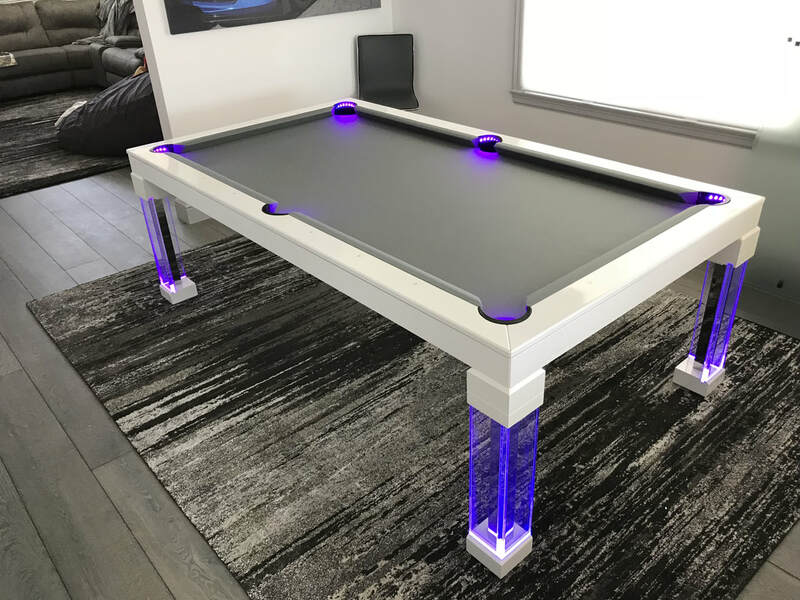 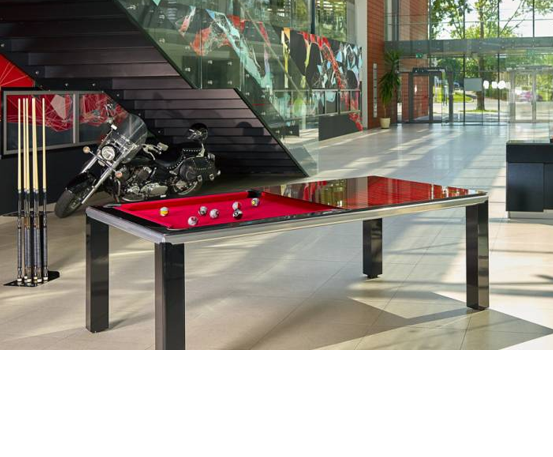 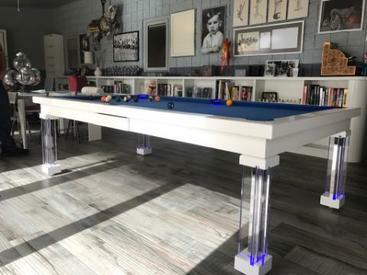 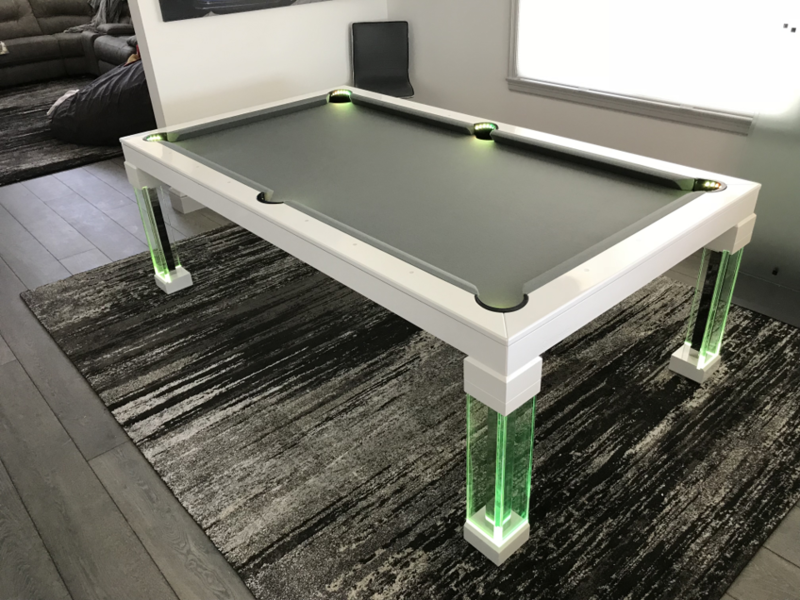 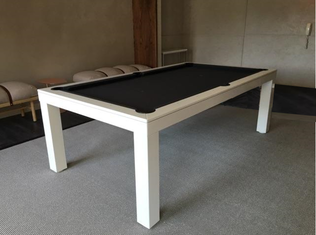 Our convertible pool table dining tables are stunning and convert from a pool table to dining or vice-versa in seconds. 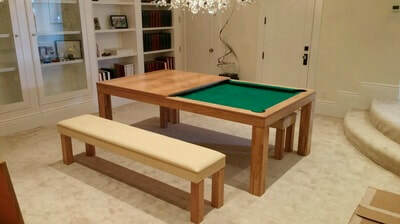 ​ Whether used as a hangout spot to shoot a game or a relaxing table to dine, your loved ones will be entertained on it! 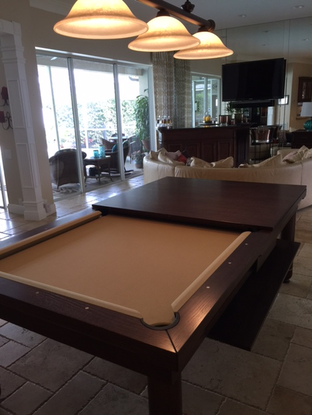 Our two in one pool table combos make an excellent space saver and luxury statement in your home. 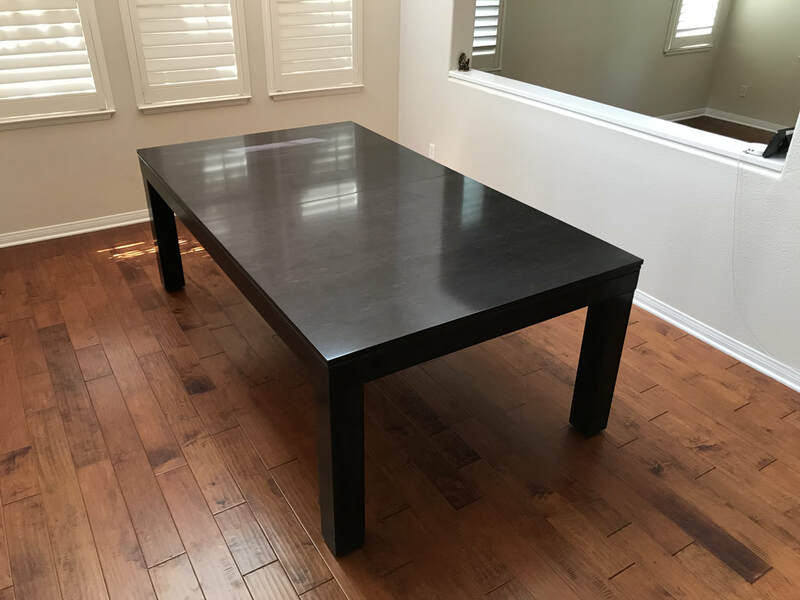 Lot's of leg room for standard sized chairs or benches when it’s time to eat due to the low profile frame. 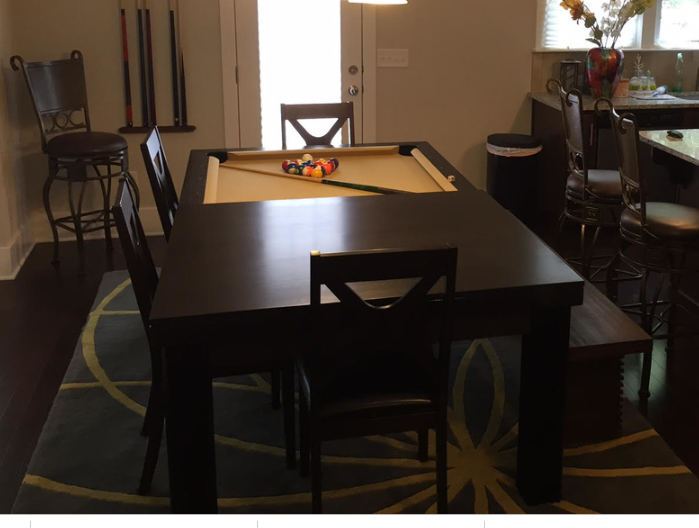 Seat 10-12 people comfortably on an 8' table. 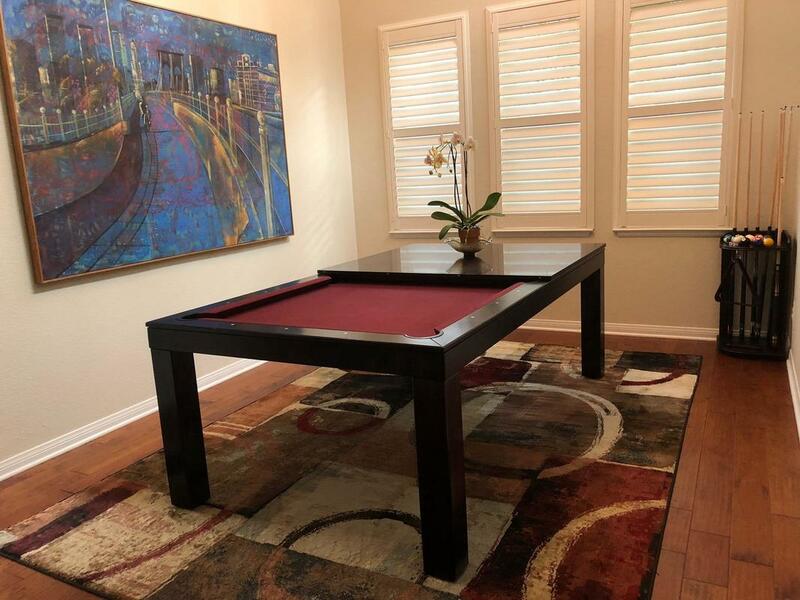 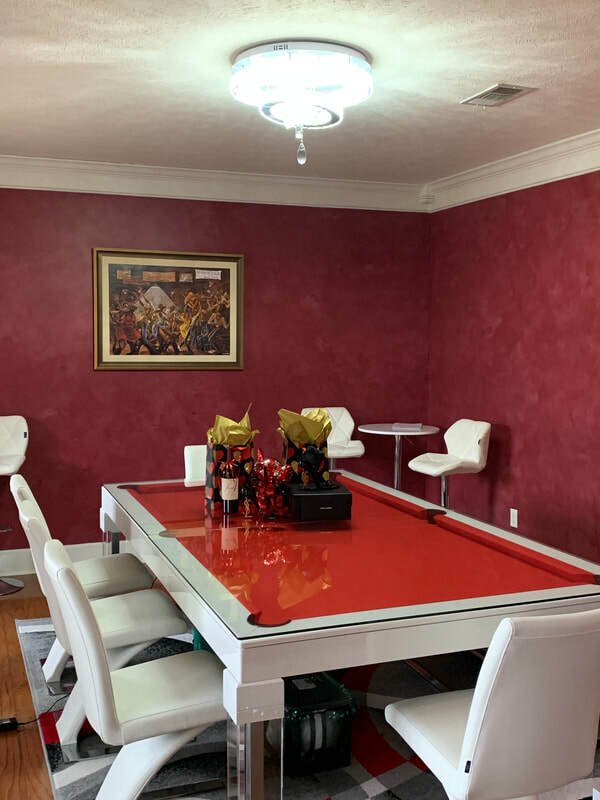 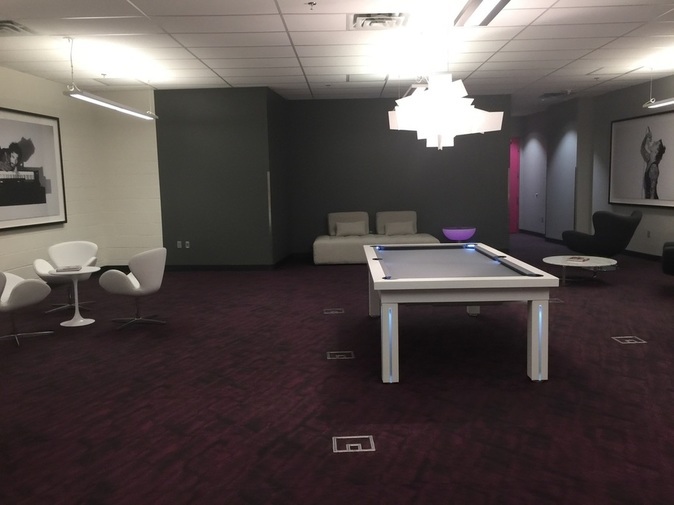 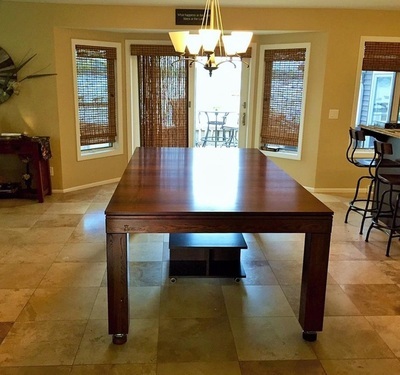 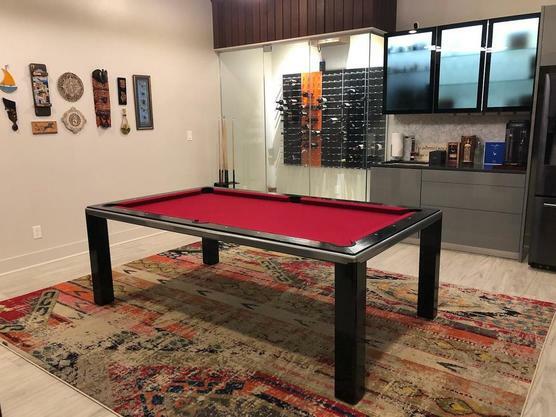 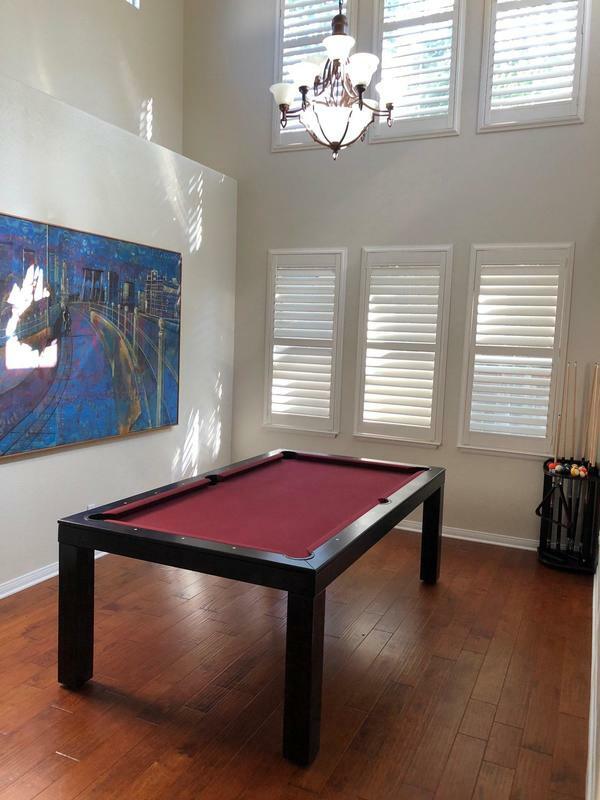 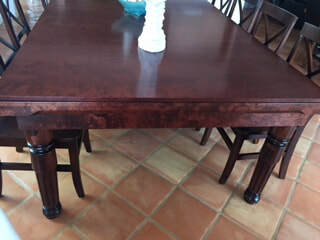 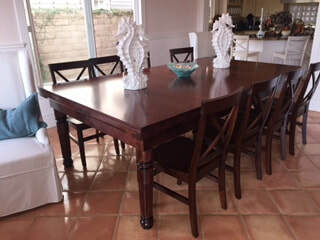 Now your eating area can in style double as your billiard room! 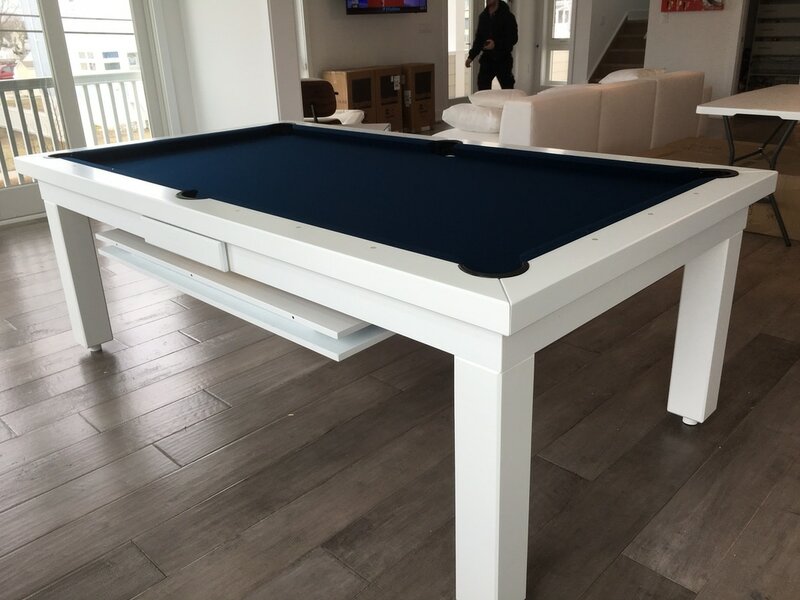 Stunning Convertible Pool Table with dining top and bench seating, converts in seconds.